Blue Cross Blue Shield of NC (BCBS of NC) will offer plans to residents in ALL 100 counties. BCBS of NC offers an online Blue Map to help find a plan that fits you best. Also see BCBS of NC’s announcement of offered plans as these will be what is available to NC citizens in every county. While the individuals plans are not released, you can get a snapshot of coverage. Coventry Health Care of the Carolinas (Aetna) will offer plans in about 40 counties in the state and should release their plans soon. FirstCarolinaCare will offer plans in six counties in the state including Moore and the five surrounding counties. See offered plans and a subsidized chart here. ** Update: After this post went live, FirstCarolinaCare dropped out of the exchanges. Only TWO organizations will operate the exchanges. See more on this announcement here. All plans will be tiered- bronze, silver, gold, and platinum and will offer catastrophic categories. Not all carriers will offer plans at all levels but they must offer at least one silver level plan and one gold level plan. Though plans will vary from state to state, ALL plans must cover a basic level of care called essential health benefits, including: prevention and wellness, ambulatory (outpatient) care, laboratory services, emergency care, hospitalization, maternity and newborn care, pediatric care (medical, dental and vision), mental health and substance use disorder services, prescription medications, rehabilitation and habilitation. There will be subsidies available to help individuals paying for plans AND some employers will offer Health Reimbursement Arrangements (HRA) for those purchasing plans outside of their places of employment. To see what subsidies you are eligible for, use this calculator. For people who are ensured by their employers, they do not need to do anything if they are happy with their coverage. It is the employer’s responsibility to ensure that their offered plans cover the basic essential benefits listed above. Provide materials in your waiting room about how your patients can enroll with the Health Insurance Marketplace. Become a Certified Application Counselor Organization. Train staff to be Certified Application Counselors (CACs). For training and information, click here. Know where navigators and other CACs are located in your community so you can refer patients for assistance. For a list of NC organizations, click here. Examine your own data to identify uninsured people in your community and inform them. 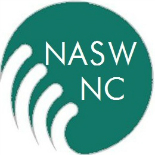 With so many changes on the horizon, be sure to turn to NASW for resources and questions! Great post. In case you’re interested, HHS has also issued must-know lists for providers and patients concerning the ACA exchanges: http://bit.ly/19mddXb. Thank you for this additional resource! This entry was posted on September 12, 2013 by naswnc in Advocacy and tagged ACA, Affordable Care Act, Health Reform, mental health, social work, social workers.